Please note that the content of this book primarily consists of articles available from Wikipedia or other free sources online. 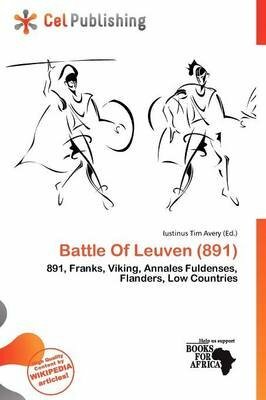 The Battle of Leuven was fought in September 891 between the Franks and the Vikings, essentially ending the Viking invasions in the Low countries. The existence of this battle is known due to the Annales Fuldenses. The Frankish force was led by Arnulf of Carinthia. The Franks successfully repelled the Viking assault and it is reported that the bodies of dead Northmen blocked the run of the river (ita ut cadaveribus interceptum alveum amnis siccum appareret).